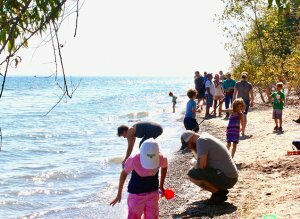 The Fund for Lake Michigan uses an online application and reporting process called Foundant to manage grant records and to provide a simple, consistent point of contact for grantees. This process does not substitute for in-person meetings and conversations, but gives you an easy‐to‐access platform for making grant requests. 1. Click the button below to access Foundant, our online grant management system. 2. If your organization has an existing account log in by filling in the email address and password for your organizations account. If you can’t locate your credentials contact Casey at . Please do not create another account. 3. If your organization has not applied in the past, select Create a New Account. This will prompt you to fill out a profile for your organization. 4. There are two different applications available to choose from. Click the apply button for either the Government/University or the Non-Profit application form. Questions regarding the online process may be directed to .